A while ago, my friend Regis challenged me to take part of the Five Day Black and White Photo Challenge. 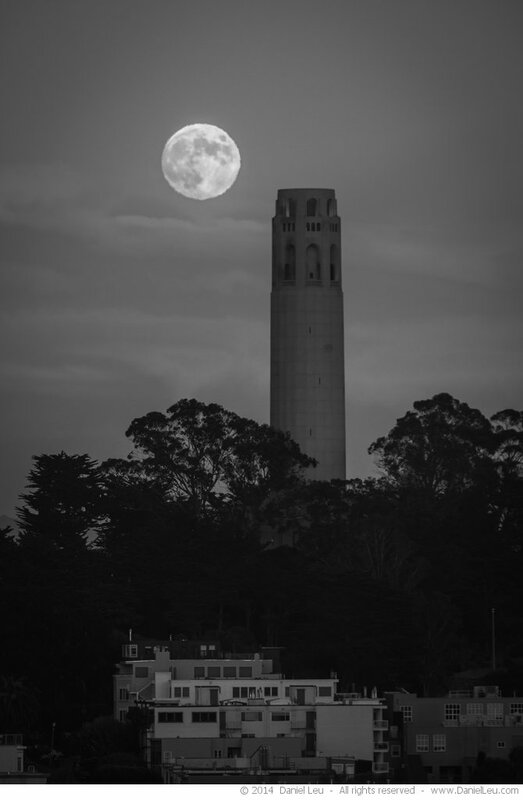 The aim is to post a new b/w image for five consecutive days and invite someone each day to join the quest. I have posted the images on social media, but thought it would be nice to have them all together in one post. 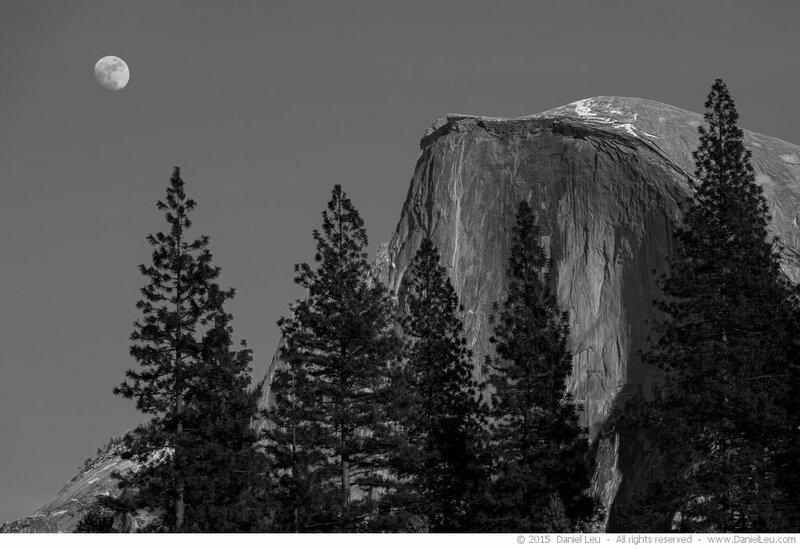 This past weekend I was in Yosemite National Park and captured the rising moon over Half Dome. There was a lot of walking involved since my initial position and framing didn’t please me. I am very happy with the capture I ended up with. This shot was taken over Thanksgiving weekend along the Columbia River in Oregon. My initial idea was to capture a long time exposure of several seconds. This would have caused a very smooth sky. 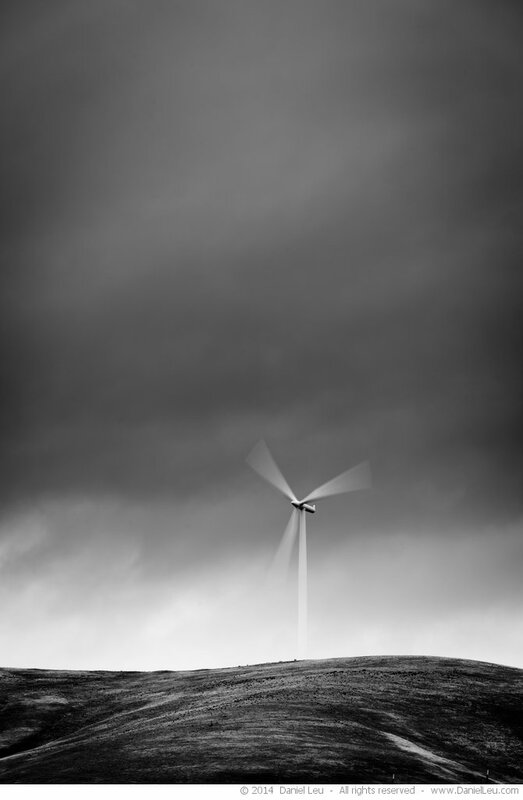 But it turned out that the blades of the windmill were moving too fast and were barely visible anymore. In the end I used a 1/5s exposure to create this capture. A few weeks ago, the ski station at Badger Pass in Yosemite closed due to lack of snow and we didn’t find any in the valley this past weekend. But four years ago it was different as can be seen in today’s photo. 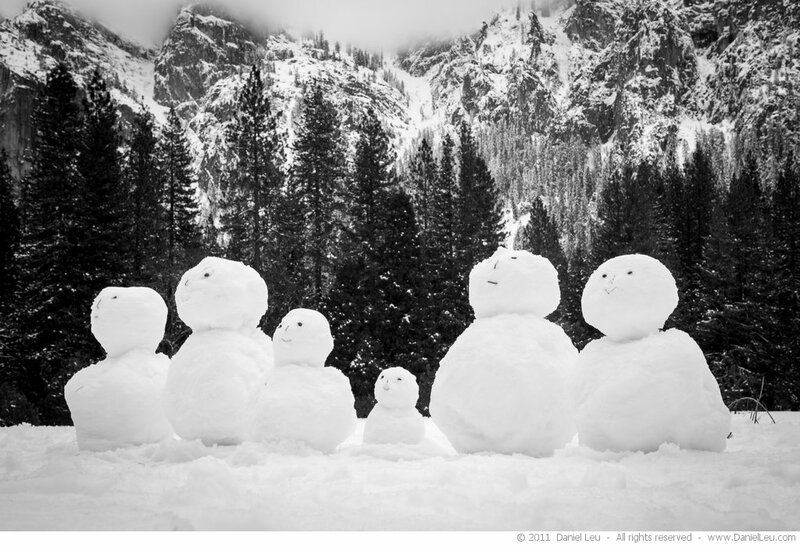 I captured this scene of a group of snowmen looking at El Capitan with its rock climbers. A few weeks ago we stayed in Capitola for the weekend. After sunset on the way back to the house, the fog started to move in. A beautiful scene with eucalyptus trees with fog on the ground under a starry sky incited me to take my gear back out of the bag. The time it took me to setup my camera, compose the shot and set proper focus, the fog was already so thick that no more stars were visible. (I still got an interesting shot that I will show another time.) 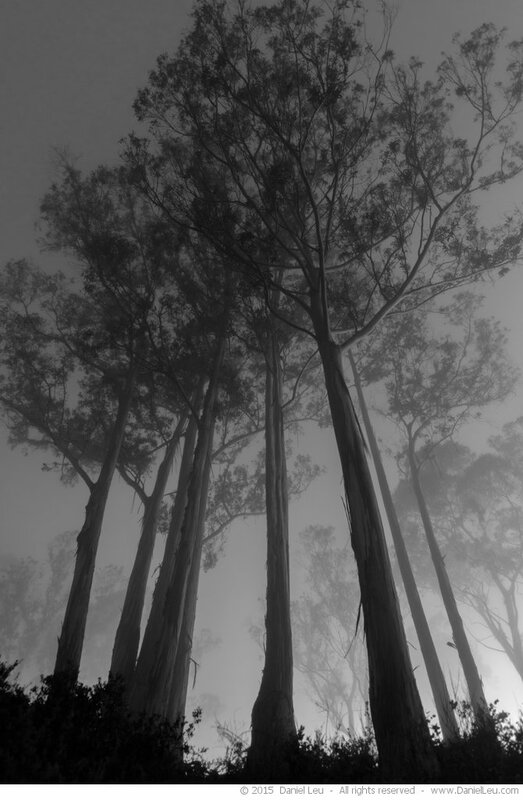 But then I turned over and saw the group of tall Eucalyptus trees featured in this image. This is the last day of the 5 day challenge. Instead of posting previously seen images, I tried to create new ones or find old ones that haven’t been posted before. I hope you enjoyed the experience as much as I did.